Forget kneeling, bending and reaching. This oven features a slide-out insert that simplifies the task. 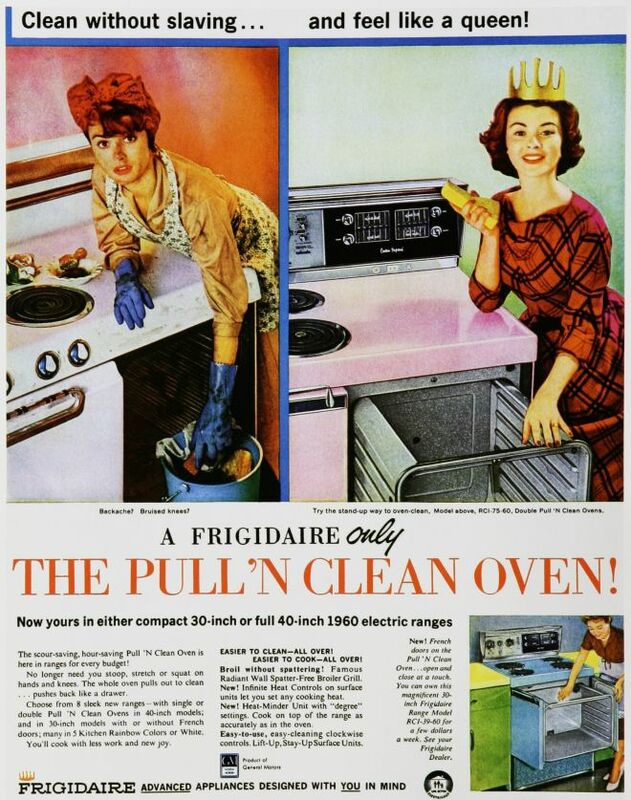 Frigidaire introduced the Pull ‘N Clean oven in 1958, and continued producing it through the mid-60s. Those wanting wall-ovens found simplicity, too, with a drop-leaf door that opened fully.